Summer has arrived, finally. And nothing could prove that better than the new Broque EP from Alec Troniq which seems to anticipate the entire outdoor fun to come in a single EP. 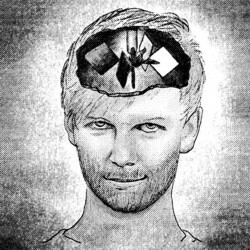 The “Mind Mill” EP is loaded with swinging and melodic house tracks and beams with playful ideas, light melodies, a fair share of hands-in-the-air moments and a good deal of pop appeal. Dresden-based Alec Troniq gives us five new tracks seducing us with their sunny temper and light-hearted charm. While “I Don’t Need” is carried by its passionate vocals, the hot-blooded “Like So” and “Soulquake Girl” embrace you with their playful flamenco-like guitar hooks and subtle filter vibes. Last but not least the powerful magic of “Mind Doodles”, featuring the distinctive vocals of Gabriel Vitel, condenses all the magic ingredients of this EP into one strikingly beautiful house track: traditional songwriter skills with a touch of big emotions embedded into enthralling grooves which work their charms on the dancefloor as well as beyond. For the darker side of the night, Broque mate DML contributes his own dub techno take on the “Mind Doodles” theme and concludes an EP which – we are certain – will be a regular encounter during this very summer season.